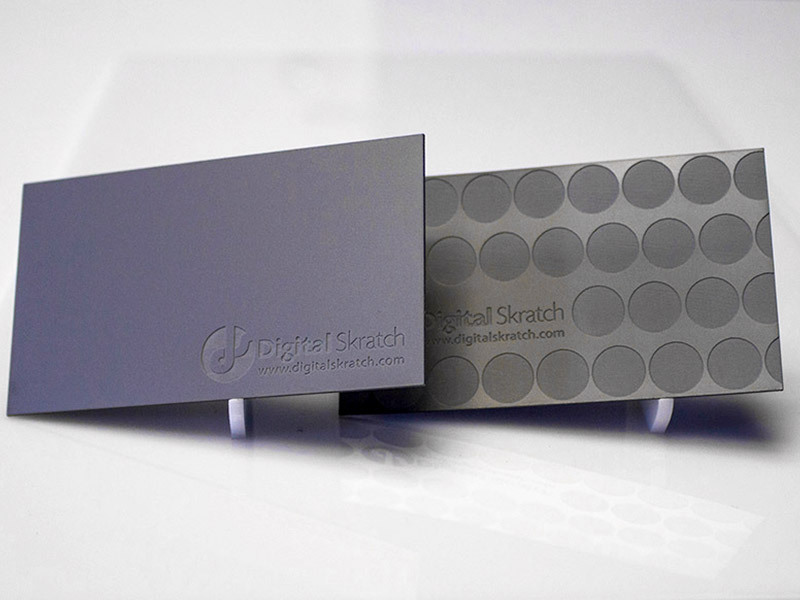 Digital Skratch Cards - Pure Black, Inc. Check out these oh-so-pimp business cards for my buddy Josh at Digital Skratch. Satin gray acrylic with a matted gray impression. So hot he had to be careful not to hurt people’s hands.